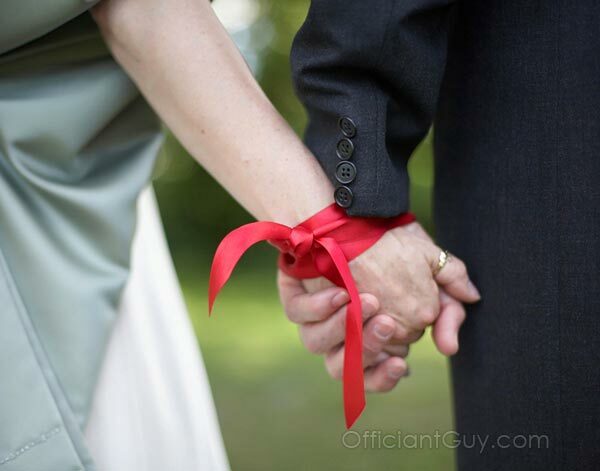 A handfasting wedding ceremony is a wedding ceremony addition that incorporates old world tradition. We perform Handfasting Wedding Ceremonies. This wedding officiant officiates all sorts of handfasting wedding ceremonies in Southern California from Los Angeles to Santa Barbara to Orange County. “As this knot is tied, so are your lives now bound. Woven into this cord, into its very fibers, are all the hopes of your friends and family, and of yourselves, for your new life together. With the entwining of this knot I tie all the desires, dreams, love, and happiness wished here in this place to your lives for as long as love shall last. In the joining of hands and the fashion of a knot, so are your lives now bound, one to another. By this cord you are thus bound to your vow. May this knot remain tied for as long as love shall last. May this cord draw your hands together in love, never to be used in anger. May the vows you have spoken never grow bitter in your mouths. We can officiate a handfasting wedding ceremony all across Southern California from Los Angeles County, to Orange County, to Ventura County, and Santa Barbara County. 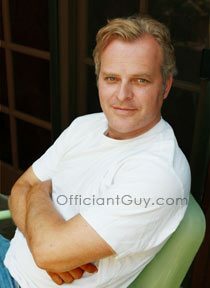 Officiant Guy, Chris Robinson, is a Los Angeles wedding minister. 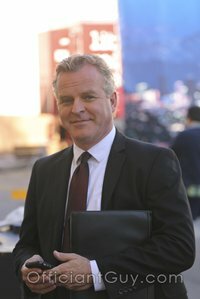 He has been officiating weddings and providing Los Angeles County wedding licenses for over 20 years. If you want to get married in Southern CA give the top ceremony officiant in Southern California a call at (310) 882-5039 or (562) 547-3255 or fill out the contact form.